Kala Namak or Indian Black Volcanic Salt. It is used commonly in India, Pakistan and surrounding Asian countries. It is used for Indian chutneys, chaat masala, fruits and salads. It is used by vegans to substitute the flavor and aroma of eggs. 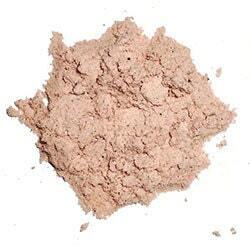 It's iron sulphide content gives it the pinkish grey color and the hydrogen sulphide content gives it the egg aroma. In ayurvedic medicine it is recommended for many health issues such as constipation, indigestion, heartburn, bloating, flatulence, goiter, poor eyesight and hysteria. There is a detailed description and suggested uses card that comes with it. This would make a great gift for you or for family and friends. Beautiful artisan salt beautifully packaged. The lid will cling to a magnetic surface. Be sure to fully tighten it so it is secure and airtight.